When talking about modern marketing, phrases like digital transformation, real-time marketing, or personalized communications are often thrown around. 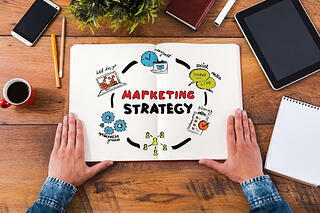 Looking to the future of marketing, there seems to be no room for tried-and-true marketing tactics. In fact, even content marketing seems to outshine traditional strategies, and it wasn’t long ago that content marketing was considered the sleeker, more effective option in comparison to, say, Search Engine Optimization. So in a world of flashy dynamic content and ever-evolving marketing technology, is there room for stodgy old SEO? You might be surprised to learn that great SEO is, in fact, more powerful and necessary than ever. The main differentiation here is between old SEO tactics and new SEO tactics. Because, yes, keyword stuffing and link farming are long dead. But, people continue to use search engines as much–if not more so–than they did in the past, and algorithms are only becoming more complex and more able to detect value for their end users. Wondering what these modern SEO tactics are? Keep reading for SEO tips you can use as a foundation for your successful marketing strategy. Google’s goal is to provide accessible answers to their users’ questions. And those are the terms you should be thinking on. So, instead of wondering ‘how many times should I put the keyword ‘sales enablement’ on this page,’ you should be thinking ‘how can I make it clear to Google that this page offers valuable information about sales enablement.’ It’s important to note that keywords continue to play a role here, but they should be used with an understanding of how your audience searches for information as well as how your content serves that audience’s needs and concerns. Traffic from mobile is dominating desktop traffic. What role does this play in your SEO and marketing strategy? It may be bigger than you think. Firstly, if your site isn’t mobile friendly, you’ll be tanking on all search engines. Secondly, people often search and browse differently on mobile than they do on desktop. As mobile traffic and search continues to skyrocket, you have to get ahead of this trend now. 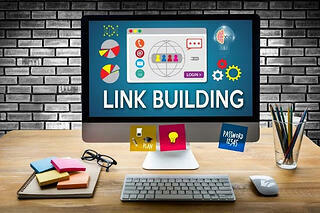 While link farms certainly belong to the past, link building as a tactic is perhaps more relevant than ever. Why? Because it is one of the most reliable ways for search engines to determine the value and relevance of your site. Let’s say you’re a small business that sells lamps–you may not have a very authoritative site on your own. If Target backlinks to your site in a blog about interior design, though, search engines will pick up and take notice. This shows that your site, and, therefore, your product are of relevance to a similar audience as Target’s audience. The trick with link building is doing it right, because search engine algorithms are typically smart enough to pick up when you’re scamming them. So, yes, you need to incorporate SEO into your marketing strategy. But, you need to know how to do this correctly–if you continue using outdated SEO tactics, you’ll likely end up doing more harm than good thanks to penalties from Google and other search engines. SEO is only part of a successful marketing strategy. It may get people to your website, but how do you keep them there? One powerful way to engage visitors from organic search is The Chat Shop’s award-winning live chat outsourcing. Learn more about The Chat Shop and how we can help. Mr Avocado is the in-house SEO expert every website needs. Avocado SEO can help guide you in link building techniques, historical information, and any cutting-edge developments in the world of SEO. 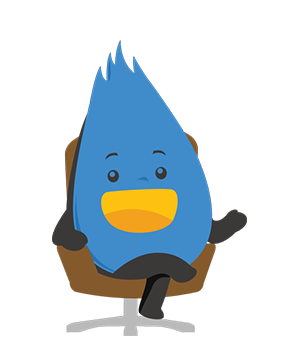 Mr Avocado loves to help websites such as yours rank well on Google and other major search engines. For your most successful SEO campaign to date, he can help get you on the right track.